While we were preparing the allotment for the new growing season, I pulled out an old tool. 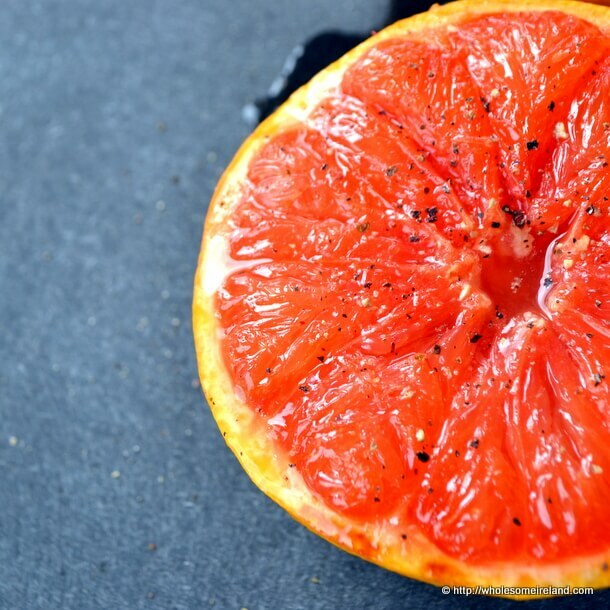 It reminded me of Grilled Red Grapefruit. It was the feel of the wood resting in my hand did it to me. It’s not even that the shape was right, not even close to the size of the little wooden handled grapefruit knife that my Grandmother had. The wood though, smooth yet worn brought me right back. It had a curved, double-edged, serrated blade. It wasn’t particularly sharp, in fact I suspect it might have been slightly blunted from many years of use. We’d use it to saw out the segments of the grapefruit before it went under the grill. It was an arduous task for busy children who didn’t like to wait for their treats but now I appreciate the reassuring ritual. Sometimes for dinner parties she would serve up a half of Grilled Red Grapefuit as a light starter, sitting in little glass bowls on saucers. We would slurp up each piece of sweetened fruit with delight. The juice would run down our chins and we’d mop it off with a big grin. 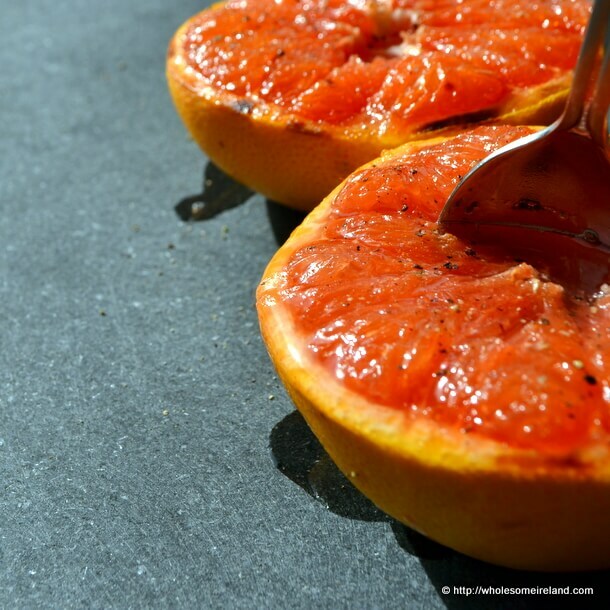 So when I saw red grapefruit in the grocer’s the other day I couldn’t resist. I sliced the fruit in half at first, then used my (paltry in comparison) paring knife to divide the grapefruit into pieces, sprinkled the top with a little sugar and popped the halves under the grill. I confess I deviated from tradition a little with a crack of black pepper over the top when it was cooked. My Grandmother may not have approved but my tastebuds certainly did. 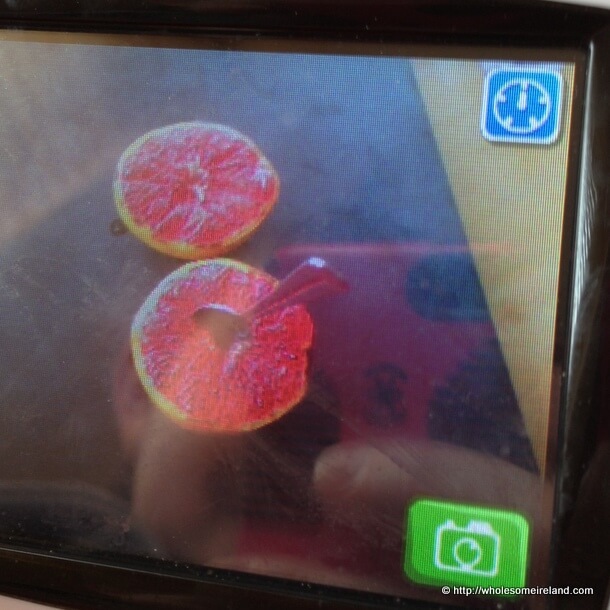 Before I wellied into the grapefruit, the 4 year old insisted on styling and taking his own picture on his toy. It was, I think, worth the wait. I’ll explain the value of food memories when he is a little older.